This chart was designed to inform teachers of what they may do under the law. Feel free to make copies for teachers in your school or district, or download a PDF version at www.techlearning.com. More detailed information about fair use guidelines and copyright resources is available at www.halldavidson.net. Family members today have a new role: helping children behave safely and responsibly when they are using social media, whether for fun or for learning. This guide is designed to help you do that. Recently, the New York City Department of Education (NYCDOE) worked with our teachers, librarians, and students, and partnered with Common Sense Media to develop guidelines for students 13 and older for the effective use of social media. These guidelines focus on four areas: digital image, responsible posting, considering consequences, and cyberbullying. There are infographics for each of the areas, created by NYCDOE students and teachers for use by students and teachers, which you may also want to share with your child. You can find the guidelines and the infographics on our website at schools.nyc.gov/SocialMedia. Used safely and responsibly, social media enhances education, communication, and learning. The New York City Department of Education (NYCDOE) convened a number of our own expert teachers and librarians, as well as students, and partnered with Common Sense Media to develop guidelines to support both staff and students in the effective use of social media. This document offers ideas for teaching each area (sourced from Common Sense Media and the Citizenship in a Digital Age handbook) and shows educators which Common Core and Information Fluency Continuum standards the suggested lessons align with. There are also infographics for each of the areas, which were created by NYCDOE students and teachers for use by students and teachers. All of the materials cited are available for use by teachers everywhere, without payment or special permission. These guidelines are offered as a synthesis of best practices. They include material compiled from church entities, for-profit corporations, and non-profit organizations. Suggestions and comments are welcome at CommDept@usccb.org. In this document, "church personnel" is defined as anyone—priest, deacon, religious, bishop, lay employee, or volunteer—who provides ministry or service or is employed by an entity associated with the Catholic Church. The emergence and use of new technologies strengthen the need for all learners to know and practice safe, effective, ethical use of technology through training in Internet safety. While many students and teachers use various technologies often, others may use it infrequently or lack basic access or information to use technology. 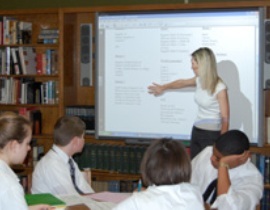 Yet all learners, including the youngest students, students with special needs, and English language learners, can receive guidance in information literacy and the safe and ethical use of telecommunications tools such as social networking spaces and online coursework to meet learning standards, credit or degree requirements, and life-long learning needs. NYSED can assist by providing technical assistance for instructional programs designed to promote the proper and safe use of the Internet.